Marshal Chris Adams turns down a friend's request to help stop the depredations of a gang of Mexican bandits. When his wife is killed by bank robbers and his friend is killed capturing the last thief, Chris feels obligated to take up his friend's cause and recruits a writer and five prisoners to destroy the desperadoes. 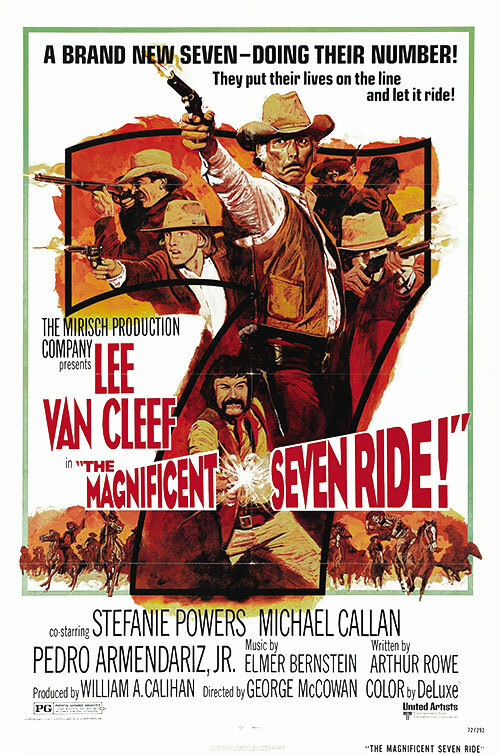 1 Response to "The Magnificent Seven Ride! (1972) George McCowan"